**$30,000 buyer incentive for a limited time! ** ***Photos are of a Dahlia floorplan but not the actual home being sold. *** Beautiful Minto Dahlia floorplan. 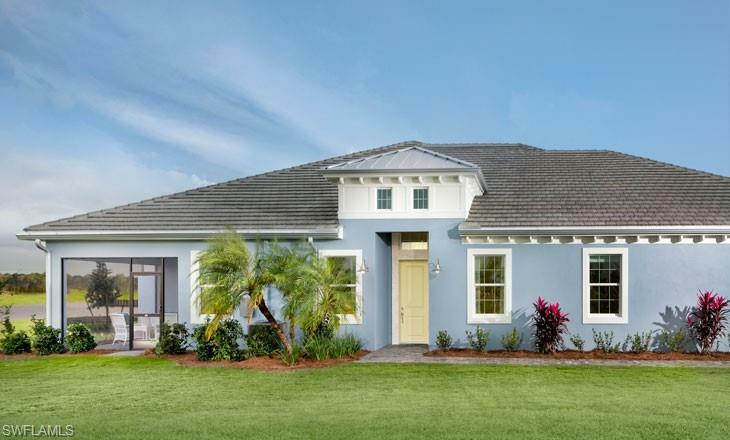 Nestled within a pristine natural setting, The Isles of Collier Preserve captures the timeless architecture and traditions of Old Naples. Over half of 2,400 acres are dedicated to lakes, nature preserves and natural habitat. Elegant single-family, villa and coach homes overlook miles of scenic kayak and biking trails along the tranquil Cypress Waterway. Visit our interactive Discovery Sales Center and experience this one-of-a-kind community for yourself! The Isles Club: Classic Old Florida Clubhouse Fitness Center Resort-Style Pool, Tennis, Pickle Ball, Hiking & Biking Trails, Two Kayak Launches and 8 Miles of Kayak, Paddle Board, Catch & Release Fishing. Come explore our nature trails and waterways on Minto bicycles and kayaks! OVERLOOK BAR & GRILL coming soon! Listing courtesy of The Keyes Company/Psl.